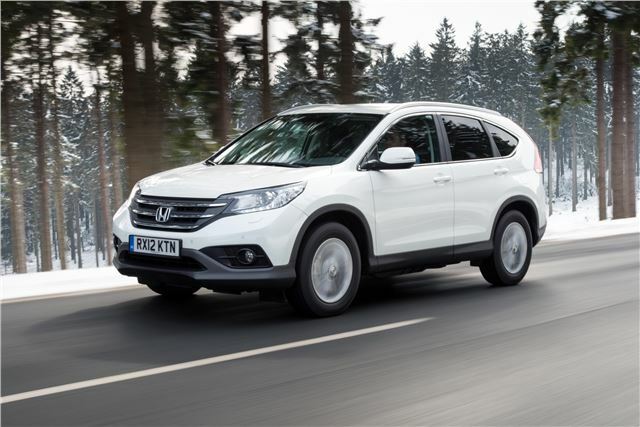 Getting its full Geneva Motor Show 2013 debut is the British-built Honda CR-v with the 1.6 i-DTEC diesel engine. This two-wheel drive manual transmission model has 300Nm of torque and 120 PS with CO2 emissions of 119g/km. Honda claims it provides an exceptional balance of performance and economy. This latest model is being built exclusively at Honda's Swindon factory for markets in Europe and will be on sale from autumn 2013. We've already experienced this engine in the Civic, where Honest John said it "Is going to find more friends than even Honda predicts..." It's the lightest engine diesel engine in its class and CR-V buyers will see an annual road tax bill of only £30.